Use a water bath or a microwave to melt the chocolate, stirring continuously to avoid burning. Spread half of the melted chocolate in the silicone molds and let it chill in the freezer for 15 minutes. Remember to cover the sides of the molds. Start making the filling of the fat bombs. Toss in all the ingredients in a mixer. Put in a decent amount if sweetener just to taste. Blend until creamy and uniform. Prepare the silicone forms and pour the filling in. Leave enough space for the top layer of chocolate. If necessary, heat the remaining half of the melted chocolate. 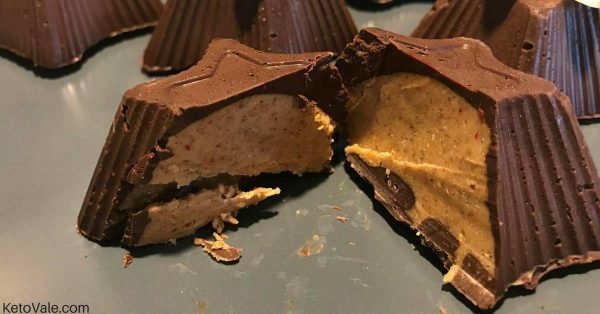 Seal the fat bombs with the melted chocolate by pouring it on top of the filling, covering it completely. Freeze for around 40 minutes until fully set. Simply unmold and enjoy cold. If you use a 12-hole silicone mold, this will make 12 pieces of fat bomb. Here is the nutritional information for each piece.